1. 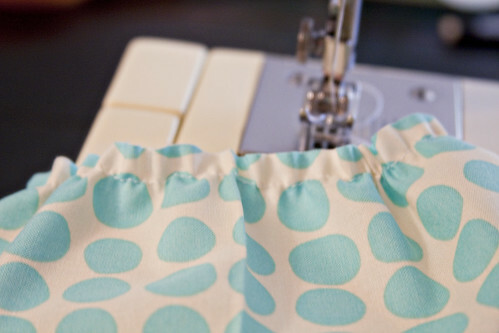 Make a shirred skirt. 2. 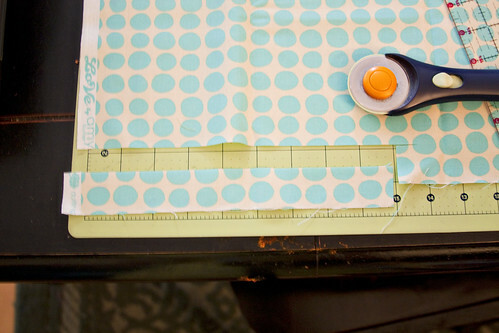 How to make a deep ( or I call poofy ) pocket. 3. How to use elastic thread. 4. How to do a double hem. 1 yard of light weight cotton ( you can totally use linen, knit or tulle also) I did not pre-wash my fabrics before I sewed mine (personal choice). 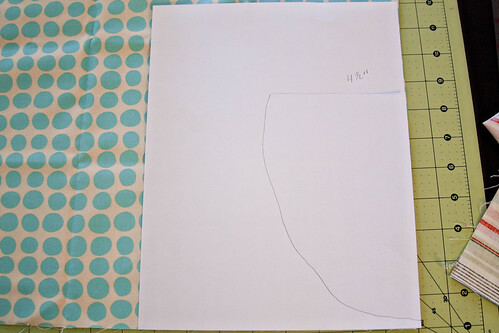 This tutorial makes a skirt that fits no larger than 44" hips/waist. If you have larger hips than that add more material than a yard. Now since I do not have a Serger ( If you have a Serger just Serge the top of the skirt before you start shirring) I fold and iron down my hem for the top of the skirt. 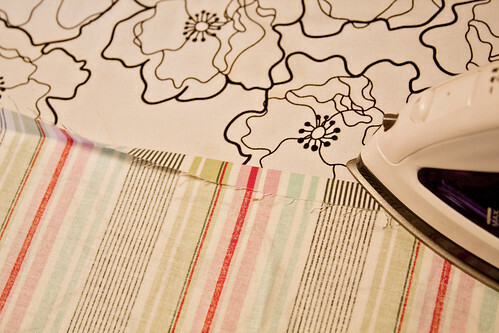 I fold and iron down twice so that I have a double hem so that my raw edges are not showing. Then hem the double fold you just ironed down. 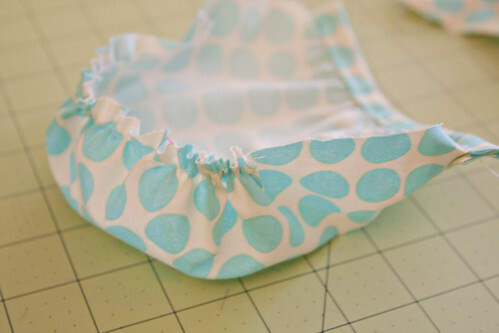 Once that is done then you need to make your elastic bobbin. You have to wind the elastic thread onto the bobbin yourself. As you are winding it onto your bobbin make sure that you are pulling the elastic thread tight. It needs to be tight so as you sew with it it makes the material gather. Take your yard of fabric and start sewing with your elastic threaded bobbin, selvage to selvage which should be the part that measures 44". I sewed each row a little less than 1/2" apart. 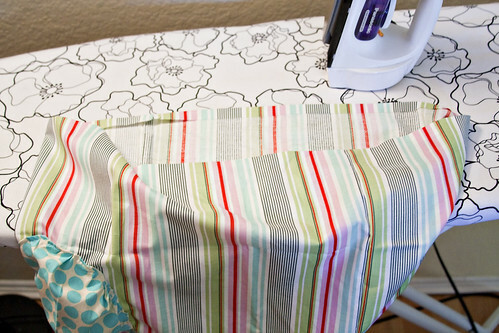 Once you are done with one row and move onto another row make sure that you pull your fabric tight so that as you sew the fabric is flat and not gathered otherwise it will not gather. The closer you sew to your previous row the tighter it will be. I sewed a total of 13 rows. Now the pocket. I took a 8x10" piece of white paper. I went down 3 1/2" from the top and drew a straight line across that was 4 1/2" and then from my line I curved all the way down for half of the pocket (my picture explains much better). Still using my elastic threaded bobbin I shirred the top of my pocket. I did 2 rows really close to the raw edge of my fabric. 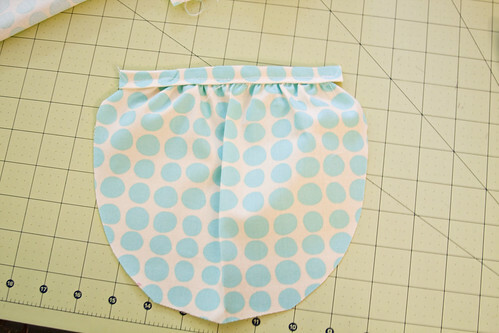 This will make the pocket gathered and help with the poofiness ( I can make up words right?!?!?). 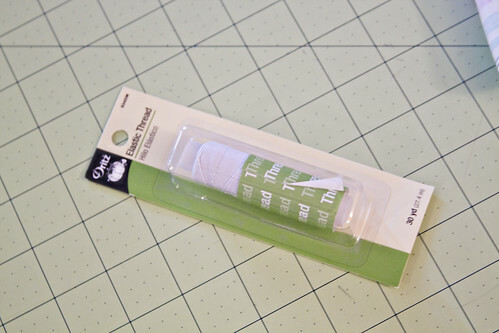 Now you need to make bias tape for the top of your pocket to finish it off. I cut a strip of fabric 8" long x 2" wide. Then I ironed the strip in half. I opened it up and took each raw edge and folded it into where my ironed fold is on each side and ironed. This makes all the raw edges not showing. You now have your bias tape. Sandwich your pocket into the fold of your bias tape. Pin really well. 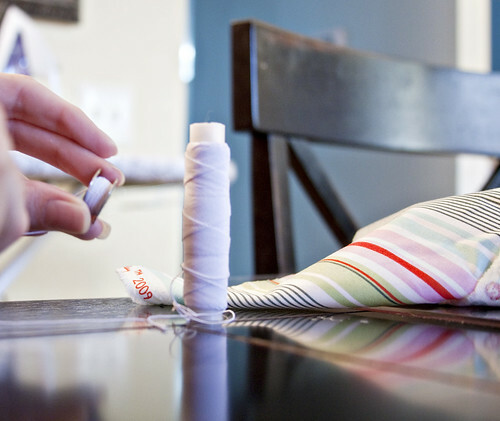 Switch out your elastic bobbin for a regular one. 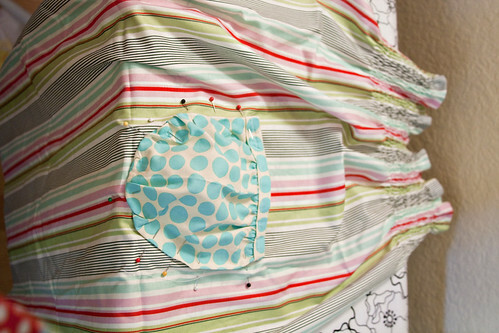 Then sew the bias tape onto the pocket. 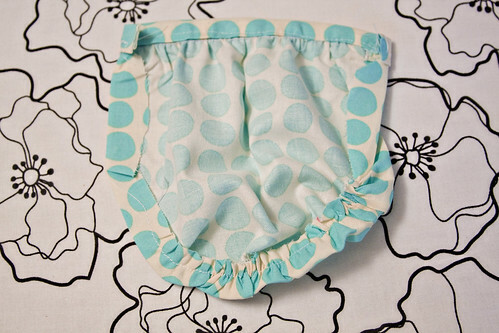 Using your elastic threaded bobbin measure down 3" on each side of the pocket and shirr so that the pocket gathers at the bottom. 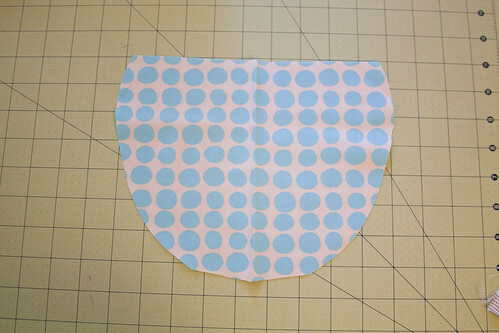 I then ironed down all the raw edges on my pocket so when I sewed it onto my skirt no raw edges will be showing. 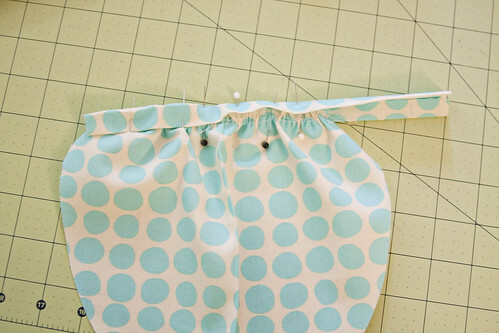 Lay out your skirt and figure out where you want the pocket. Pin pocket really well. 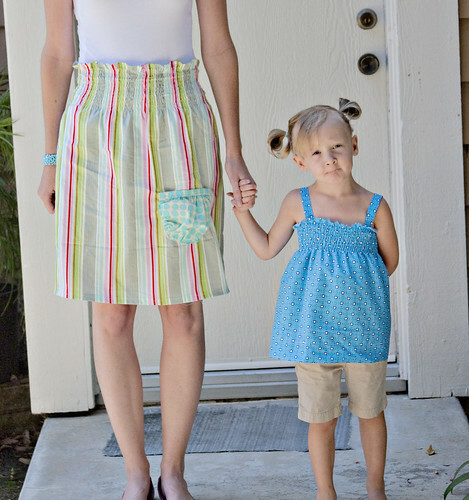 Using a regular bobbin, sew the pocket onto your skirt. 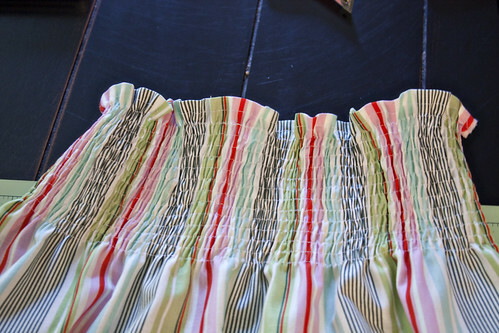 Bring the 2 sides of your skirt right sides together and sew your skirt together. Now it should look like a skirt. I then tried it on and figured out where I wanted it hemmed. ( Since it is a yard of fabric it is going to be really long on you, it hit me way below my knee, I just found it easy to pin it, cut it and hem it after the skirt was all done so that I had a straight hem. I didn't know how the length would be once the shirring was all completed.) I pinned it once so I would know where to hem and took the skirt off. 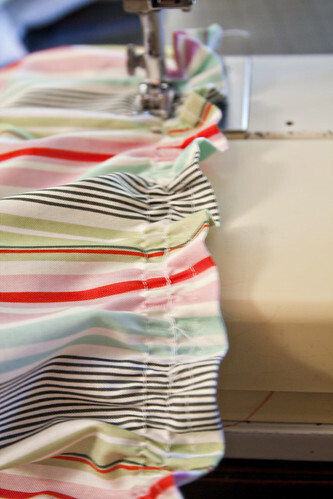 Now if you have a Serger serge the bottom of your skirt and iron down once then sew your hem. If you don't have a Serger, like me, then I folded and ironed my hem twice and then sewed it down so no raw edges are showing. 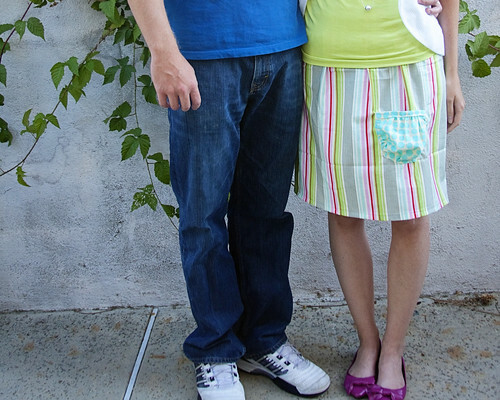 There you go you have your awesome shirred skirt with a pocket. You can wear your shirt tucked in or out depending on your mood. If you have any questions please leave them in the comments and I will respond back in the comments. Enjoy your skirt. Yes girls sorry I did mean to add that part and I just added it into the tutorial. 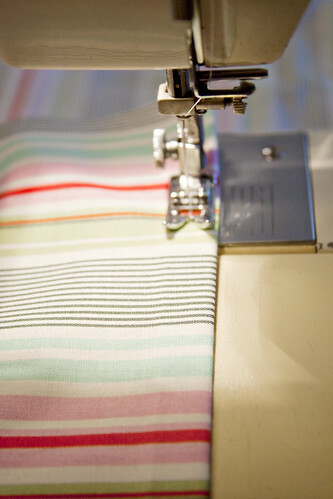 YES you do pull your fabric tight so it is flat as you sew each row so that it will gather. If you don't sew it flat then it will not gather. As I wind the bobbin I am pulling it moderately tight I would say, but the tighter you pull it the tighter your shirring will be so it is up to you. I would love a tutorial on your daughter's shirts, they are so cute! I know that it's the same process but, when and how did you add the straps? Anonymous: I will add it to the list! It will be any easy one.